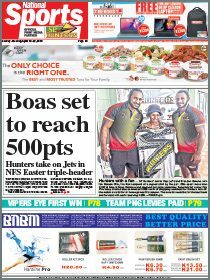 FORMER Netball president Janet Sape supports the Papua New Guinea Netball Federation’s aim to reach out to remote areas. “Despite my busy schedule, I’m more than happy to give back and contribute to netball wherever I can,” Sape said. She said the concept of the new AusAid programme, the Pacific Sports Programme was a great initiative in trying to develop netball in the country. “Netball is the biggest women dominated sport in PNG and if the government can spend money on rugby league, I’m sure and I believe this sport deserves much needed financial assistance,” Sape said. 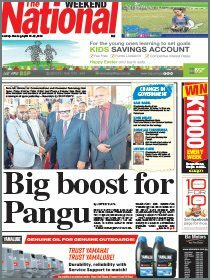 “PNG netball now focuses on getting competition and delivering services to the remote areas, mainly the villages. “Now that the PNP programme is well under way, the federation will focus on reaching out to all centres in the country," for the benefit of the young women and girls. Reach out and give opportunities to others,” Sape said.